I am in awe of performers. And I was never as awed as I was last week. Phil Birsh called a few months ago and asked me to lunch. 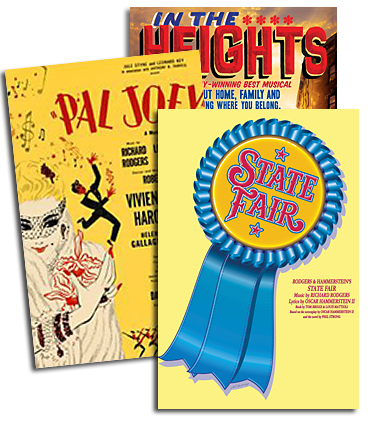 Aside from the magazine he publishes, he has expanded the Playbill brand in interesting ways, including Playbill Cruises. He had done several, he said, and he now wanted to “theme” one – and Rodgers & Hammerstein was his choice. OK with me, I said. He wanted me to come along and give a talk, and help with the choice of singers. Phil is persuasive. The itinerary and the ship were both superb (I wasn’t paid to say that…) and six Broadway singers along with a few similarly talented “special guests” and an ace musical director came along. During the week, each singer had a solo night, and then everyone appeared in the last night’s finale – an all-R&H program. Each singer brought to the morning’s rehearsal a couple of R&H songs, most of which were already in their repertoire. The one-man orchestra John McDaniel had chosen an opening and a closing. My awe began with each of the solo performances. These are Broadway artists, with rosters of credits. 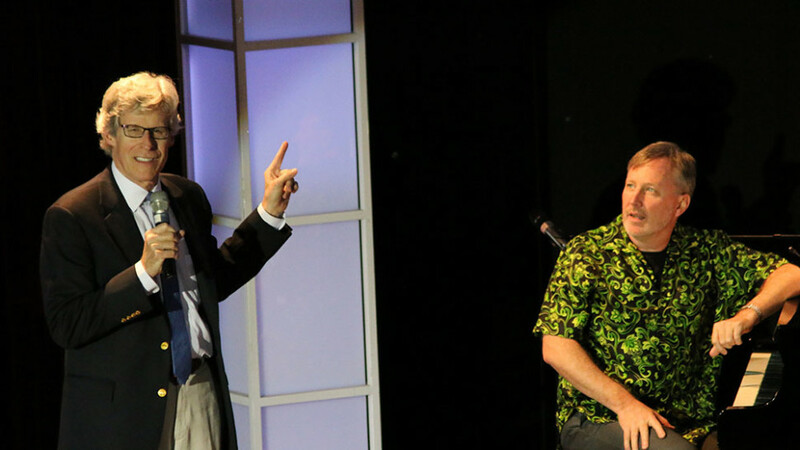 But since jobs still come and go, each one has at least one “suitcase” show – a collection of songs that mean something to them, that they can perform well, and get connected by banter that makes the audience feel comfortable, informed, and included. And the “charts,” or arrangements, get carried in a suitcase – or today, often in a laptop. There is more than one evening’s worth of them in everyone’s suitcase or laptop. But the ease with which they spoke about the choices during the rehearsals belied the intensity and skill of the performances themselves. These were people flexing their considerable muscles, granted to a focused audience, but each night as those cruise folk lept to their feet (and truth be told, occasionally during a show…) it was appropriate to be in awe. Because I provide interstitial R&H tidbits between singers during the finale, I got to watch them all pull it together. What a lesson in talent, generosity, speed, and humor. Sight reading through an opening medley (actually taken from A Grand Night for Singing, a R&H revue that we license) and the closing (the song “Oklahoma” in the original show arrangement), the cast leaned in around the piano, listening to their harmony lines, some recording their parts on iPhones to study in the afternoon, interacting with each other. As McDaniel gave simple directions, he shifted harmonies and lines to people more appropriate – like changing Christine Ebersole’s line in “Oklahoma” (“Shouldn’t Tony sing ‘startin’ as a farmer with a brand new wife?’ He’s the farmer, not me!”). Once that rehearsal was over, McDaniel ran through the solos – and they were pretty extraordinary - some were intricate and moody, some silly, some were right out of the shows. Occasionally the arrangements were just lead sheets, so McDaniel had to fill in the right chords, which he did effortlessly. The singers were joined by co-host Christine Pedi and guest Howard McGillin. And guest Bryan Batt started off the performance with a hilarious piece of special material. When the final evening arrived, you would have thought the performance had been rehearsed for days. The combination of first-class performers doing first class material was pretty unbeatable. My cabin mate – my twin brother who doesn’t trade in show business – commented that he had never thought the song “Oklahoma” could ever be emotional, but he felt a surge when it was over. Of course all this took place in a version of paradise. One week on a ship small enough to accommodate a nice group of like-minded theatre fans (290 in all) as it glided from one gorgeous Caribbean port to another. The guests were both respectful of the entertainers and yet curious enough to engage in conversation. It really was awe-inspiring. Oh, and one person asked me how she could invest in a Broadway show. So my hat is off to you, Phil, and your amazing crew. Wherever the idea came for these Playbill cruises, give that person another rum punch!